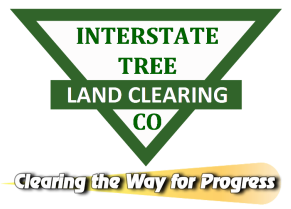 Interstate Tree Land Clearing Co. is the premier provider of land clearing and site preparation services in Southeastern Wisconsin & the Midwest. Our goal is to provide the very best in Commercial site clearing. Because our quality control standards are high, our employees are among the best in the industry. Our goal is to always deliver on time quality, done right the first time. Stumps are normally cut fairly close to the ground. 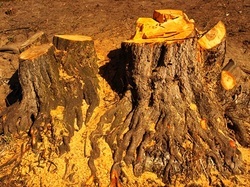 However, sometimes large tree stumps are left very tall due to the difficulty of cutting low. Stump grinding (stump cutting) is the preferred method of stump removal. Stump-grinding machines shave the stump continuously, again and again, until the depth and area required are met. There are many different sizes of stump-removal equipment that are used to accomplish this.